This week was a colder week with temperature below – 15C, yesterday morning it finally dropped to -23C which i was waiting for to get some fog photos over the St-Lawrence river. Everything was coated with frost and the wind made the fog rolling in and out of my compositions, so every frame was different. I selected that one because i can feel the cold better in that one. This entry was posted on December 15, 2013 by Steeve Marcoux. 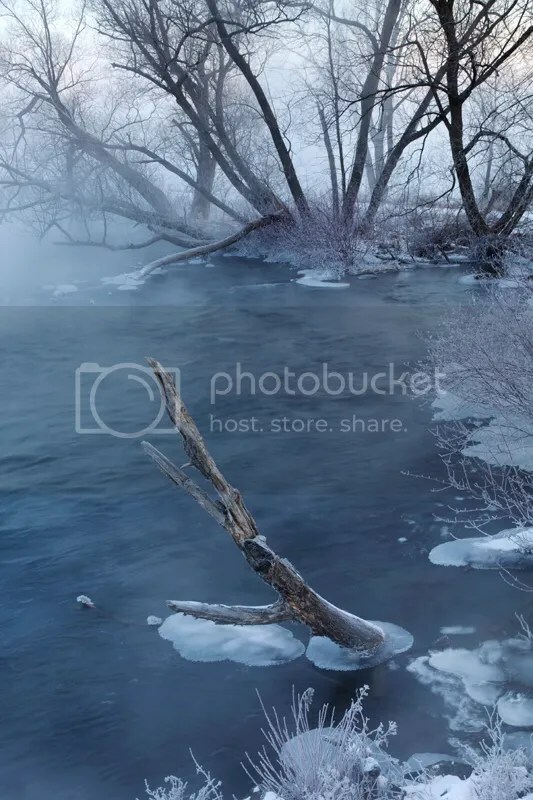 It was filed under Weekly photo and was tagged with fog, frost, St-Lawrence.